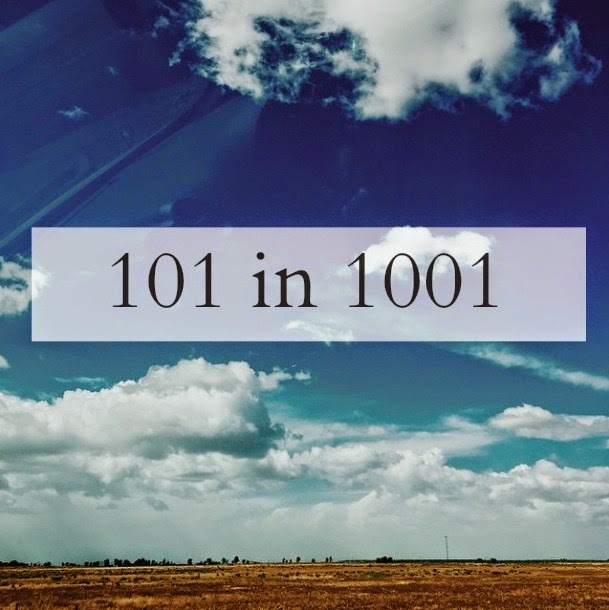 I'm sure you guys have already seen a couple bloggers do a 101 in 1001 post, but I wanted to do one myself. If you haven't seen one of these posts before, it's essentially a list of 101 goals that you want to accomplish in 1001 days (2.75 years). It seems like such a long time for a goals list, especially when I'm definitely used to doing a daily or weekly to-do list. When I make my traditional to-do lists, I usually stick to mainly short term, school related/chore goals. I saw the 101 in 1001 posts, and realized that maybe I was focusing to much on the things that I needed to do, not necessarily what I wanted to do. Of course I'm still going to have to do papers and chores, but having a list of the things that excite me seemed like a good way to put my happiness as a priority in my life. I decided to share my list with you all, so maybe you'll be inspired like I was! As I complete each goal I'll cross it off, so be sure to check back and see what I've done! Wow this was a lot more difficult than I thought to write out 101 goals! Let me know if you start a list of your own (it's one of my goals! #24) I would love to read it! OMG, 101 goals would kill me! Or maybe it would keep me from obsessing over my everyday goals. Something to think about. I've never seen this type of post but kudos to you for listing 101 goals! I find that extremely difficult but I can definitely see myself wanting to reach some of the goals you listed! Love reading this list, it is very inspiring! When you drive across the Golden Gate Bridge, come and say hi! You have me thinking about my 101 now! Love these lists! I'm addicted to reading them... and now fulfilling mine! Thank you! I would love to read yours! Life Goals and "The Supposed To's"